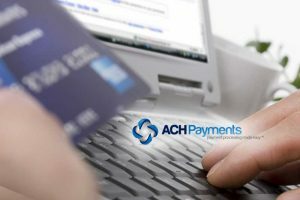 If you have come to the realization that your website needs to integrate for acceptance of ACH payments, there are a number of methods that you can decide from. Commonly, the driving factor for a website ACH integration is the reduced processing costs in comparison to credit card processing costs. Websites that only accept credit card transactions can pay up to 90% more in processing costs than a similar website that accepts ACH payments. This is because credit card processing rates include a discount fee, usually in the 2.7% – 2.9% range plus a per transaction fee anywhere from .15 – .30. Most ACH processing models are priced at a flat rate, per transaction, usually around the .30 range. So, if a website accepting 500 monthly transactions with an average sale price of $100, the processing charges for credit cards would be around $1,400. That same website, if accepting only ACH payments, would experience a far lower processing bill. Using the same average sale amount and monthly transaction, the processing costs would be right around $150. That’s a significant sum for some website operators. That said, not all websites are ideal for accepting ACH payments. One driving factor that makes accepting ACH a good option for a website is the type of product or service that is sold. Website operators need to understand that ACH does not have the ability to reserve funds like credit cards transaction do. If a website accepts ACH transactions, notifications of returned items can take up to four business days. When you factor in non-banking days like weekends and holidays, you can be looking at a week for transactions to essentially settle. ACH transactions don’t actually settle like that, but when you take into consideration the return notification window, that is essentially how you need to look at it. With that said, services of a digital nature that can be turned off might be a good fit for ACH payments. Certainly, services or products of a recurring nature are good fits for acceptance of ACH payments. If you think of your personal credit card that you carry around, how many of those issuers allow you to pay your monthly bill using another credit card? There may be the odd transfer option, but typically all credit card statements need to be paid by either a written check, or more likely and ACH payment. Same goes for your mortgage statement and utility bills. All of these are services that you rely on and where there is no risk of shipping out a hard good, only to have a notification of return come in a week later. Integration methods for accepting ACH in your website can be as simple as pasting a snippet of HTML code into a page or integrating to an API, and a few options in between. The proper thing to do is seek advice from a prospective ACH provider, explain what your website is, what it sells and what the business model is. They can likely give you good advice from there. We at ach-payments.com have been providing ACH website payment solutions for over 19 years. Contact us for advice on your website integration project. 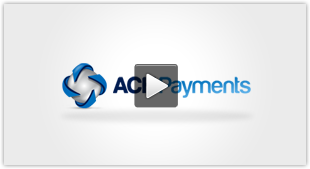 ← Should You Integrate for ACH and Credit Cards?